National intellectual property (IP) systems can play a pivotal role in fostering innovation and knowledge diffusion. This report analyses Kazakhstan’s IP system with regards to its support of the country’s innovation performance. In particular, it assesses the organisation and governance of Kazakhstan's IP system as well as the needs and challenges faced by different groups of actual and potential IP users – ranging from universities and public research institutions to state-owned enterprises and small businesses. The review provides a comprehensive set of statistics describing the use of IP in Kazakhstan in recent years, identifies the system’s strengths and weaknesses, and presents a range of specific policy recommendations to address existing challenges. 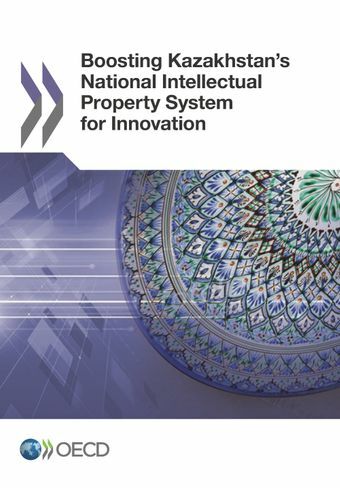 The OECD project “National Intellectual Property Systems, Innovation and Economic Development” supports countries in strengthening the contributions their national intellectual property (IP) systems can make to socio-economic development, notably through their impacts on innovation performance. Country studies based on a detailed assessment of national IP systems provide concrete policy recommendations. For more information, see the publication flyer or visit the project page.